Such an awesome young man that excels in every discipline he is exposed to by Bryan and Sandra. Over the moon with gratitude for all of those that include themselves as part of Team Rioja! Rioja is a beautiful blue boy with a stunning character and personality that we see him go places. Whilst working up to his Dog Sports aspirations he is having a run in the confirmation ring. 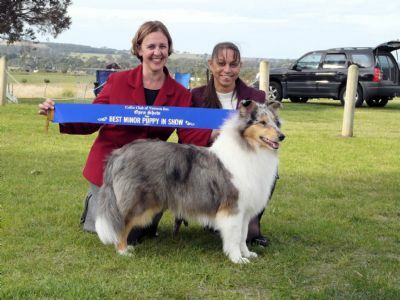 A stunning blue merle with a very sound confirmation, ribbons are already decorating his home. Rioja was the stand out pup from his litter and I wish Bryan and Sandra a world of success in all his canine pursuits. A big thank you goes to Claire and Nicolle for their willingness to show this "Show Pony" for Bryan and Sandra. Heartfelt appreciation to Bryan and Sandra for Rioja's beautiful presentation and time to fit in some shows. November 2015, Rioja begins a new title campaign for Neuter Champion. Good luck Team Rioja! 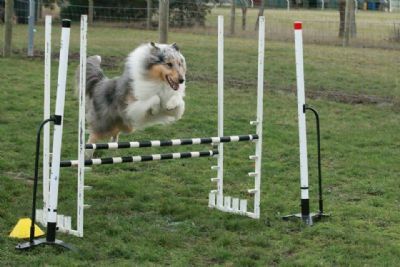 Rioja gained the last of the points at the Collie Champ Show on 3rd July 2016 to gain his Neuter Champion title. July 2014 Track 3 Pass, congratulations Rioja, Bryan and Sandra. Your first title TD! 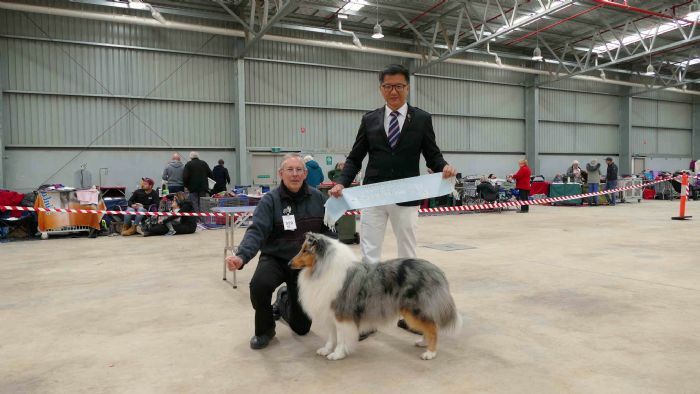 15 August 2015 Tracking Dog Champion Title. (TCh) Awesome work.